Way back in the summer of 1940, engineers were already trying to fit an 85 mm gun into a T-34. Two T-34 hulls were shipped to factory #8 for this project. The easiest way to do this was to put it in a brand new open topped turret. The project stalled, but was revived in November of 1941. It was then that the project received the index U-20. The U-20 consisted of a 52-K 85 mm AA gun on a mount from the M-30 122 mm gun. Three crew members occupied the turret, much like in the later T-34-85. 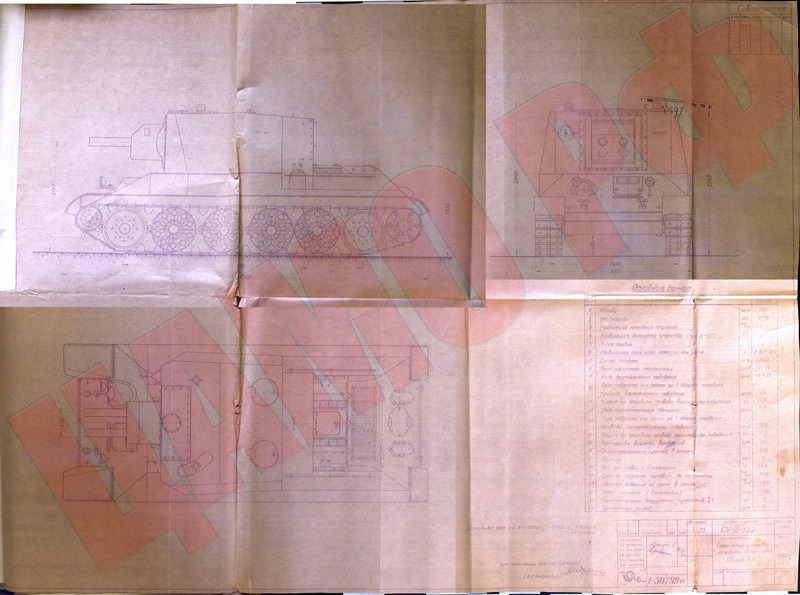 The turret armour was not very thick, 45 mm in the front, and 20 mm on the sides. The TD carried 76 rounds of ammunition, 20 rounds in a ready-rack in the turret. The height of the vehicle was 2790 mm. In April of 1942, GAU decided not to build a U-20. A more compact version of the U-20, the U-20-II, was developed in parallel. The U-20-II had much more armour compared to the U-20, 75 mm in the front and 40 mm on the sides. 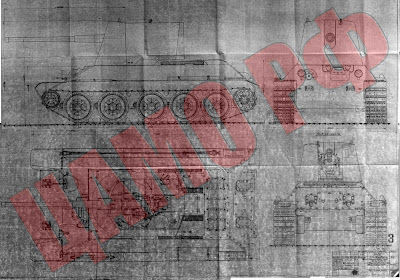 The tank was shortened to 2475 mm in height, at the cost of a smaller 60 round ammo rack. The project met the same fate as the U-20, scrapped in April of 1942. Another curious project on the T-34 chassis was the SU-2-122, ordered in December of 1942. Like with the SU-122 that everyone is familiar with at this point, the project was based on the T-34 chassis and was meant to provide indirect fire with 122 mm shells. However, instead of one M-30 howitzer, it had two. The two guns would be capable of firing simultaneously. 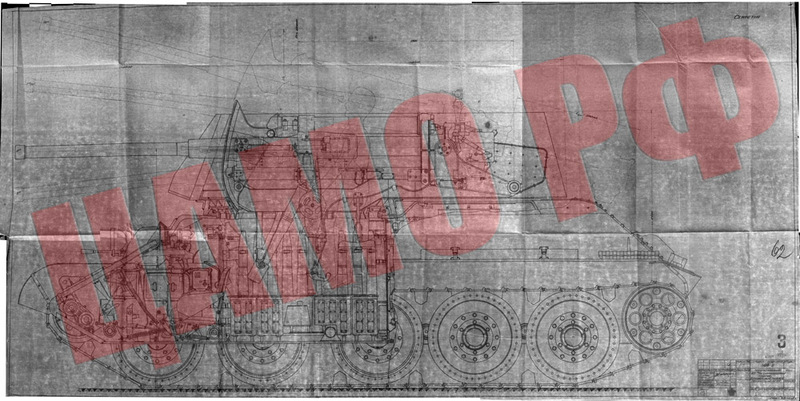 The mass of the tank was 35 tons, and resulted in having to lengthen the T-34 hull by one road wheel, bringing to total up to six. The project was cancelled before being built. 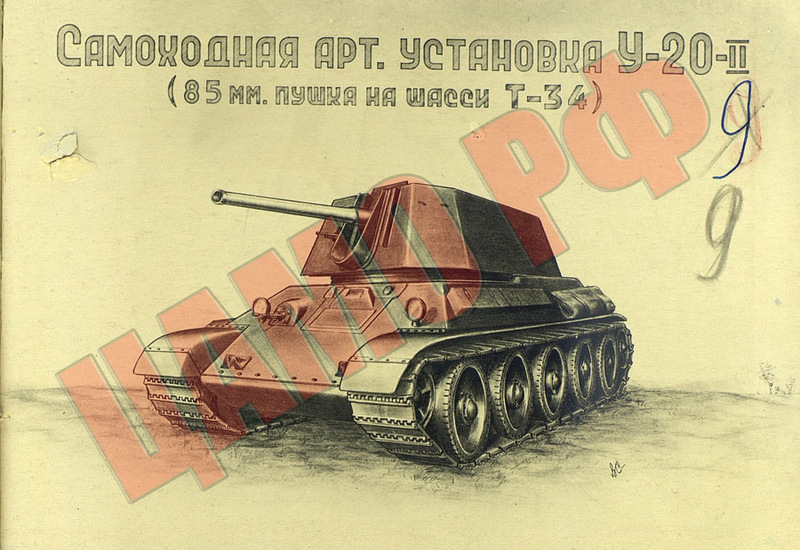 Speaking of the SU-122, here's a predecessor project, the ZIK-10, combining a U-11 howitzer and the T-34 hull. 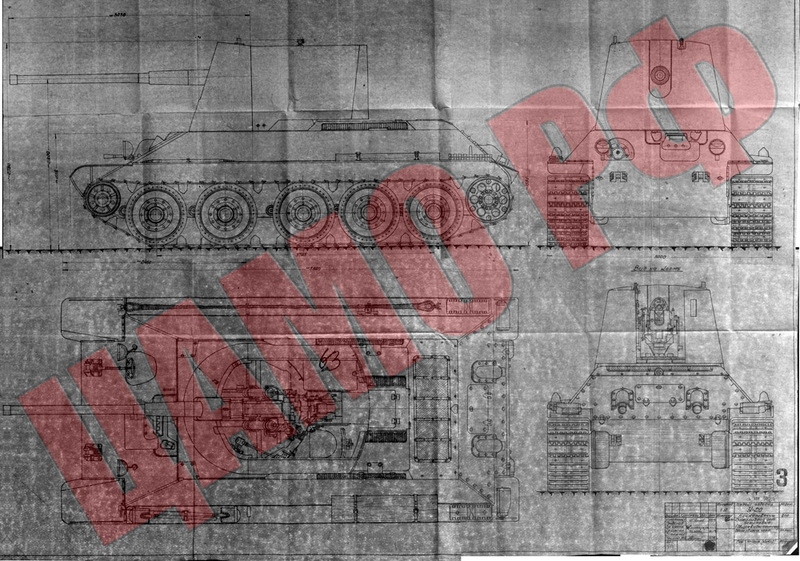 Moving on to more projects on the SU-85 hull, the 85 mm gun was deemed to be less than what the platform could handle. 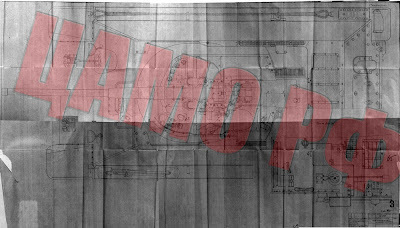 The A-19 gun, that has already proven itself in combat with the enemy, was fitted into the unmodified casemate, resulting in a project called SU-D25. A similar project, the SU-D15, was armed with a 152 mm D-15 howitzer. 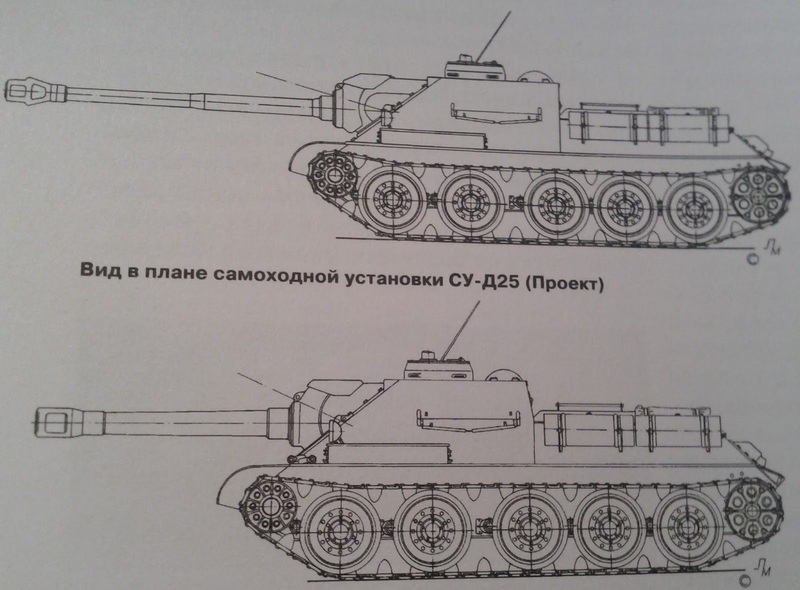 Did there also exist a project to arm the SU-100 with the D-25S? 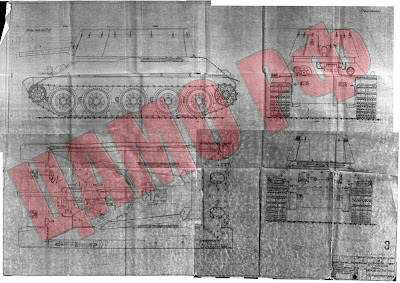 Or did Wargaming just take the SU-85 project and transfer it to the SU-100? 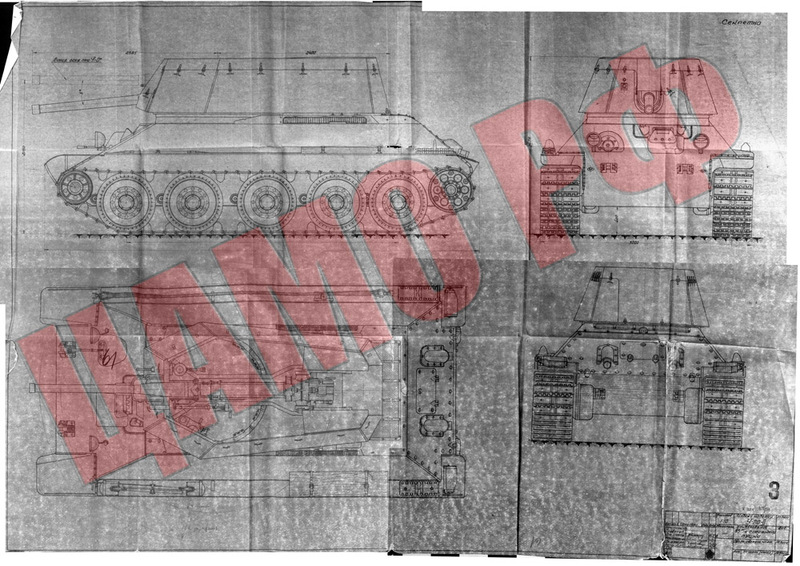 Yes, there is a SU-100 with a 122 mm D-25 gun (SU-122P). 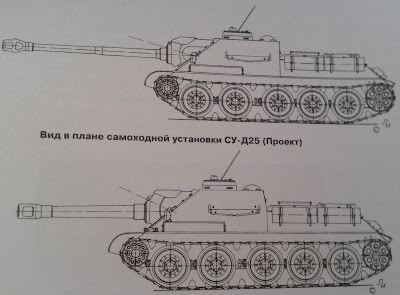 Is there an actual difference between the SU-85 and SU-100? Or is it just the gun? The commander's cupola is visibly different. The commander and driver's working conditions are also improved on the SU-100. 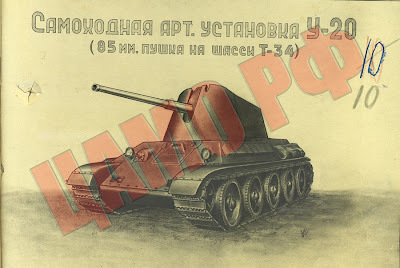 late model SU-85 had the same cupola and superstructure as the SU-100; so their only difference was armament. 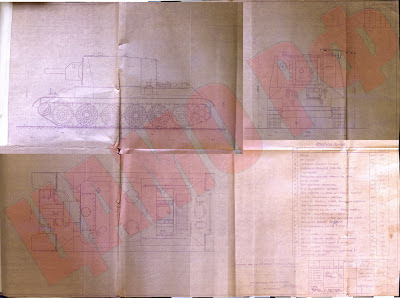 First SU-85s had 45mm armor at the front, when first SU-100s had 75mm. Later problem was fixed, creating SU-85M with 75mm at the front as well.